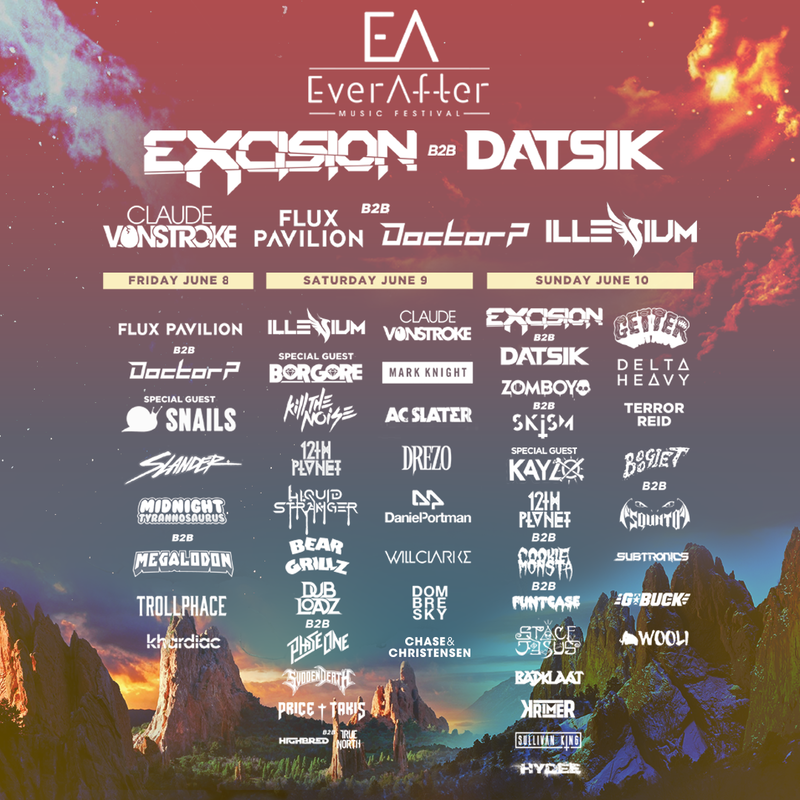 Ever After has finally announced its 5th massive gathering. 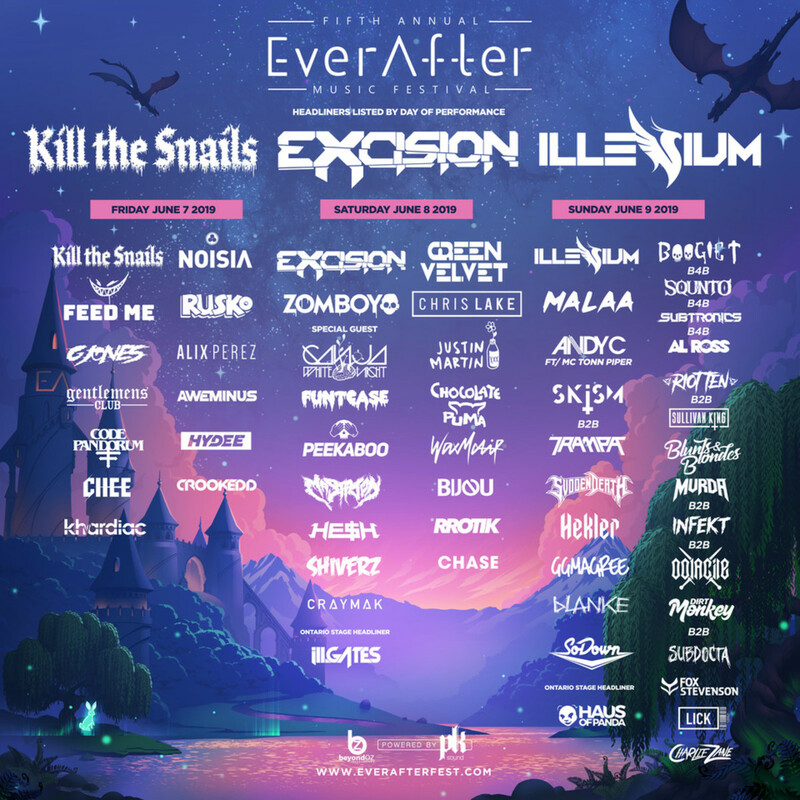 The incredible lineup features big names like Excision and Illenium, as well as the Snails/Kill the Noise duo “Kill the Snails.” Feed Me also made the lineup after taking a brief hiatus, and Alix Perez, half of the group “Shades” (with EPROM) will be performing. 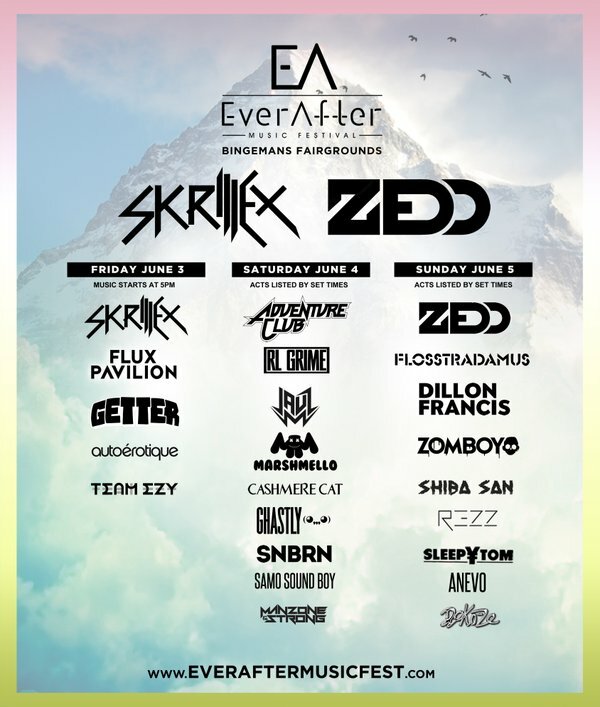 It is pretty on point for Ever After, since their Lineup in 2018 was also severely stacked with big names like Claude VonStroke, a Flux Pavilion b2b Doctor P set, and Space Jesus to name a few. 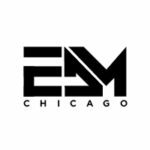 While most of the music is dubstep oriented with heavy hitters like Rusko, Ganja White Night, and G Jones, there is a solid stack of the lineup that features prominent house and techno artists such as Green Velvet, Chris Lake, Justin Martin and Chocolate Puma. Andy C and Noisia make a surprise onto the lineup, throwing some Drum n Bass into the mix. It is always nice when lineups have some variety. Along with the insane amount of prominent artists, the festival will also include activities for attendees, such as a WipeOut obstacle course, a fully equipped waterpark with water slides, a wave pool, the whole megillah, and also inflatable football. It is sure to be a wild festival. 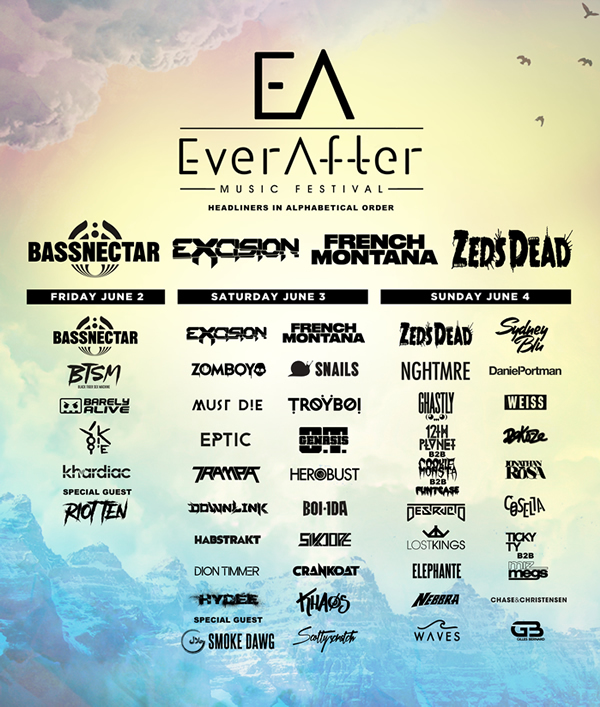 It is an amazing lineup worthy of any bass fanatic. Naturally there have to be a few b2b sets. Dirt Monkey and Subdocta’s b2b set is sure to be wild. Sullivan King and Riot Ten are going b2b for what is sure to be a heavy metal dubstep b2b set. The highlight of the b2b sets is a quadruple b2b featuring Boogie T, Squnto, Subtronics and Al Ross which is sure to be mind shattering, since all four are currently doing their own tours. The festival takes place June 7-9 in Ontario Canada. Tickets are not on sale yet but you can arrange travel packages via the website.